Unai Aranzadi of INDEPENDENT DOCS TV working in Libya. 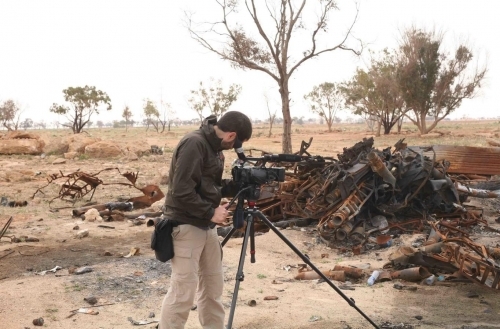 25.04.2011 Unai Aranzadi from INDEPENDENT DOCS TV working on assignment in the Libyan war. Basque videojournalist Unai Aranzadi in the Ajdabiyah frontline.